Before you even touch the heater make sure you read the instructions on or with your heater, doing so should keep you safe. Remember “The life you save may be your own”. Make sure you are using the right heater. If the waterbed is 7” or deeper we recommend you use a heater in the area of 300-400 watts. For shallower fill waterbeds, we recommend that you use less than 200 watts. Heaters usually have instructions printed that indicates what type of beds they can be used with. Using use a high watt heater in a shallow bed and you can start a fire. 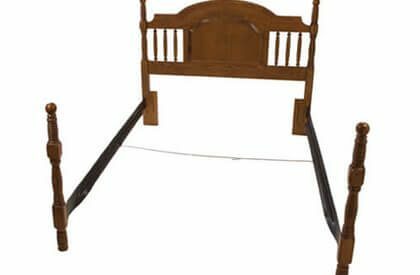 A common mistake waterbed owners make is installing the waterbed it in the wrong location. They should always be put on a solid, flat deck. The heater should always go under the safety liner. 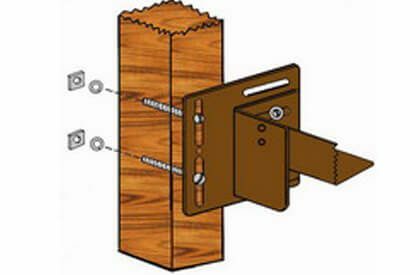 Make sure heater is not positioned over any seams in the decking or knots holes. The uneven surface can flex and breakdown the heating element or air from underneath the heating pad can cause hot spots which can burnout your heater. Never put the heating pad to close to the edge of the bed. A comforter or mattress pad tucked under the water mattress and on top of the heating pad traps heat from the heater and causes a burn out. If you hide your money under the mattress make sure it’s not on top of your heating pad or you will literally be burning money. Never position your heating pad across the bed. Not only can it damage the heater but also if you have Dual Bladders and lay the heating pad cross ways under both bladders, air from the gap between the two bladders meet will cause a burnout. Always position the pad lengthwise under one bladder only. A waterbed heater must have water to operate properly. Air is the heaters worse enemy. It is designed to have its heat absorbed by the water in a water mattress. Water absorbed heat much faster than air. When installing a heater make sure all the wrinkles in the bladder and safety liner are removed from the area directly above and in contact with the heating pad. These wrinkles have air in them and this traps heat. Side not: We have seen wrinkles burn heating pads in half. Make sure your mattress is not under filled. If there is not enough water the heater cannot get rid of or dissipate the heat quick enough. 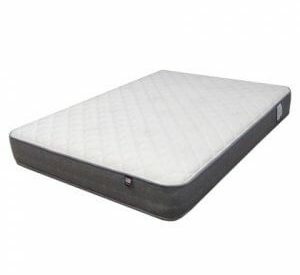 Be very careful with the free flow mattresses, concentrated weight in one spot can force the top of the mattress against the bottom forcing out the water. If done over a heater pad for an extended period the mattress, liner, and heater can over heat and burn, bond, or weld together. The above heater information are direct results of not reading the installation instructions that come with or on it. If you don’t read them you can get burned. 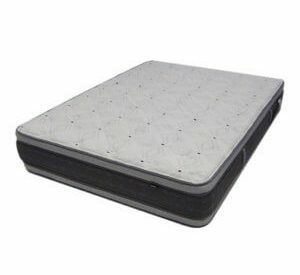 Do softsided waterbeds use heaters? Good installation tips. However, I would think there is enough reliability in the high temperature limit of the heater to not allow it to burn itself or anything else even if it is installed incorrectly. I’m not excusing a bad installation, but the heater should have a UL rating. my new waterbed heater is rolled up on the end can I tape it down to the decking along outer edges? Kevin, Do not tape, tack, staple or fasten the heater down in any way. Gently roll it backwards. Do NOT kink or fold the heater. It will damage the heating element. Some people will plug it in for a moment to get it warm so it well flex easier. Be vERY VERY careful you can overheat and trip the safety limit switch. These cannot be reset and will render the heater useless. Do not leave it. The heater CAN and WILL Burn! Is it safe to use masking tape to tape the heater cord to the platform? It’s the only way I can extend the cord so that the heater is positioned correctly. Since it was coiled up in shipping, it will not straighten out. Is it okay to double up or even use three liners under the bladder as long as I install the heater correctly first on the flat deck of my hardside waterbed? One of the liners is actually part of my enclosed, zippered mattress cover. Thank you Douglas. I appreciate any advice. I just put a new heater for my waterbed but it’s been 6 days still not heating water I put it close to the head of the bed its heating just that corner what did I do wrong? Wendie, It depends on several things. 1. Did you fill it with cold, warm, or hot water? Cold water especially this time of years can take a week to get up to temperature. 2. Do you live in a cold location or state? Obviously in early February the heater is going to have to work a lot harder. 3. Are you keeping the mattress covered? Sheet set, mattress pad, and a good insulated blanket? Also what is the room temperature? 4. Where was the heating pad placed? I recommend 2/3 of the way towards the foot end of the bed not the head end. The temperature probe should be near the head end. Plenty of distance between the two will keep the heating unit from short cycling. This is what I believe you are experiencing.